Objectives The aim of this study was to examine which individual and work-related characteristics predict work outcomes related to sustainable employment among male shift and day workers.  Methods Between 1 September 2005 and 31 December 2009, data on individual and work-related characteristics of N=5640 employees of Tata Steel in the Netherlands were retrieved from the Occupational Health Service and company registers. Work outcomes related to sustainable employment were (i) temporarily being placed in less strenuous work, (ii) sickness absence ≥6 weeks, and (iii) leaving the organization. Cox proportional hazard analyses were performed for all outcome measures. Results Similar predictors were found for shift and day workers although some differences were observed. For shift workers, high blood pressure and cardiovascular disease were important predictors for sickness absence. For day workers, insomnia was an important predictor of sickness absence ≥6 weeks. Conclusions Similar predictors in magnitude and direction were found for work outcomes related to sustainable employment among shift and day workers. Interventions aimed at enhancing sustainable employability should focus on individual and work-related characteristics. In many developed countries, the mean age of the general population is increasing (1). New policies and programs to prevent early exit of older workers from working life have to be developed (2). Therefore, a major challenge in the coming years is to help ageing worker populations stay at work in a healthy, productive, and sustainable way. To facilitate sustainable employment, it is necessary to gain more insight into the characteristics that undermine sustainable employment (ie, those predicting work outcomes such as long-term sickness absence or early exit from the labor market). In the past few years, several studies have demonstrated that, in addition to individual characteristics (eg, age, health status, work-family interference) (3–10), work-related characteristics (eg, physical and psychological work demands, decision latitude, job satisfaction) predict duration of sickness absence, turnover intentions, early retirement, and work disability (3–10). However, these studies were conducted in the general population. Policies and interventions might benefit from comparing worker populations, namely, shift and day workers. Shift work can be burdensome to workers due to the disturbance of biological and social circadian rhythms and is a well-known risk factor for health, safety, and social wellbeing (11–13). Therefore, shift workers might be more at risk for sustainable employment, compared to day workers. Although no significant differences have been found between both groups with respect to work outcomes like sickness absence, early retirement, and leaving the organization (14–16), it might be that the strength and relevance of determinants differ between shift and day workers. Kivimäki et al (17) examined the extent to which prevalent cardiovascular disease (CVD) and its risk factors [high blood pressure (HBP), high cholesterol concentration, obesity, and diabetes] are predictive of a person leaving the organization separately for shift and day workers (17). They found no difference between shift and day workers for these health-related risk factors associated with leaving the organization. However, to our knowledge, this is one of the few studies available, and it only focuses on health-related risk factors. Evidence about the relationship between individual and work-related factors on work outcomes related to sustainable employment is scarce among shift and day workers. In order to understand and quantify the importance of different individual and work-related factors on sustainable employment among shift and day workers, the aim of the present study was to examine which individual and work-related characteristics predict work outcomes related to sustainable employment among male shift and day workers. In this dynamic cohort study, prospective data of 11 921 employees working at Tata Steel in the Netherlands were gathered between 1 September 2005 and 31 December 2009. Tata Steel manufactures, processes, and distributes steel products to worldwide customers. Data were retrieved from the Occupational Health Service and the company registers (18). Every three to four years, the Occupational Health Service of Tata Steel offers a health check to the employees by means of structured interviews. Data were used from the health checks conducted between 1 September 2005 and 31 December 2009. During the interview, a list of questions about individual and work-related characteristics was completed by the employees and checked by a company doctor (19). This information was taken as the individual baseline measurement of this study. If an employee had more than one health check during the 5-year study period, the first health check was taken as baseline. Office workers (N=4923) were excluded from this study, because their working conditions were not comparable with those of the shift and day workers in technical and maintenance jobs. Due to the small numbers of female workers (N=120), women were excluded too. From a total of 6878 shift and day workers, 1238 (18.0%) shift and day workers were excluded from analyses because no health check data were available. The final study sample comprised 5640 workers, divided into 4311 shift and 1329 day workers. Work outcomes related to sustainable employment were operationalized by three dichotomous outcome variables (yes; no): (i) temporarily being placed in less strenuous work, (ii) sickness absence of ≥6 weeks or (iii) leaving the organization. The first occurrence of these work outcomes were used for analyses. When these work outcomes did not occur, 31 December 2009 or the date participants left the organization was used as censoring date. Tata Steel’s Medical Department organizes special work accommodations in order to place personnel temporarily in less strenuous work. This is applied when employees have difficulties with work due to health complaints. Employees can be temporarily placed into day service (shift workers) and/or in an office job (shift and day workers). The first and last day of their temporary replacement were derived from the company’s records. Sickness absence was defined as being absent for ≥6 weeks and was based upon Dutch sickness absence legislation (Gatekeeper law) (20). After 6 weeks of absence, a company doctor has to complete a problem analysis, including the reason for absence, the possibilities for recovery and the predicted time to return to work. The first and last date of a sickness absence episode were registered by the company. In this study, no distinction was made between full and partial sickness absence. Leaving the organization was defined as the date an employee left the organization. The date of leaving the organization was derived from the company’s registers. There was no information on the reason for leaving (eg, retirement, death, resignation, or a transition to another employer). From the interview data, four individual (mental complaints, fatigue, musculoskeletal complaints and stiffness, work-related complaints) and eight work-related scales (psychological job demands, decision authority, skill discretion, perceived physical workload, physical exposure, job satisfaction, job security, and work organization and communication) were composed by summing the answers (yes=1 or no=0). The scales were constructed by means of a principal component analysis, reliability analysis, and a face validity check. Furthermore, nine individual (sleep complaints, insomnia, HBP, CVD, gastrointestinal complaints, bronchitis, smoking, alcohol, work–family interference) and two work-related (relation with supervisor, relation with coworkers) single items were included. Age and gender were also registered during the health interview. The scales and items are described in detail in appendix A (http://www.sjweh.fi/data_repository.php). Function level was deducted from the company registers. For each calendar year, the function and a corresponding function level number were registered by the company. A high function level number implied more line management tasks, whereas a low function level number involved more operational tasks. The year of the health check was matched with the function description of that year and reflected the function level at baseline. On 1 September 2005, three types of shift work schedules were present: a 2-shift schedule (no nights, no weekends), a 3-shift schedule (no weekends), and a slowly backwards-rotating 5-shift schedule. This last schedule involved three night shifts, two days off, three evening shifts, two days off, three morning shifts, and two days off (NNNxxEEExxMMMxx). All shift schedules included 8-hour shifts, morning shifts starting at 06:00, evening shifts at 14:00, and night shifts at 22:00 hours. On 1 September 2006, a new 5-shift schedule was implemented, which involved a change for all 5-shift workers towards a fast forward rotating schedule (MMEExNNxxx). The analyses were adjusted for the different shift work schedules; shift workers were classified according to their work schedule into three categories: 2- and 3-shift workers, 5-shift workers without a roster change, and 5-shift workers with a roster change. Stratified Cox proportional hazard regression analyses were used to estimate hazard ratios (HR) and their 95% confidence intervals (95% CI) for shift and day workers for the relation between all independent variables and the three outcome variables in a prediction model, using method enter. Separate models were used for the three outcome measures. All models were controlled for age. The time interval used for the analyses was days. All analyses were performed using SPSS version 18.0.3 (IBM Corp, Armonk, NY, USA). An alpha of 0.05 was used in all statistical tests. Two sensitivity analyses were conducted. The first sensitivity analysis was used to examine age-related effects, by dividing shift and day workers in two age groups: <45 and ≥45 years. For the second sensitivity analysis, the influence of participants ending up in more than one outcome measure was examined by limiting the analyses to participants ending up in one or none of the outcome measures. Included and excluded workers were compared separately for shift and day workers. Due to the dynamic nature of this study, 1 September 2005 was defined as baseline for the comparison between included and excluded workers. At baseline an independent t-test was used to compare the age of included and excluded workers. Cox proportional hazard analyses were used to estimate HR and their 95% CI between included (=0) and excluded (=1) workers and their relation with the three outcome measures. The excluded shift and day workers for whom no health check data were available (N=1238) were on average, respectively, 1 and 6 years younger compared to the study sample. For both shift and day workers, excluded workers were more prone to be temporarily placed in less strenuous work and to leave the organization compared to the study sample. No differences were found between the excluded and included workers for the outcome sickness absence ≥6 weeks. The total study sample comprised 5640 workers, divided into 4311 shift and 1329 day workers (table 1). Shift workers were slightly younger than day workers. During the study period, 12.6% of the shift and 10.6% of the day workers were temporarily placed in less strenuous work, 13.6% of the shift and 18.3% of the day workers were absent for ≥6 weeks, and 5.1% of the shift and 5.4% of the day workers left the organization. For shift workers, the mean follow-up time for being temporarily placed in less strenuous work was 967 days [median 1008, standard deviation (SD) 435], for sickness absence ≥6 weeks 968 days (median 1036, SD 434), and for leaving the organization 1062 days (median 1126, SD 386). For day workers, the respective numbers were 1028 days (median 1092, SD 424), 982 days (median 1065, SD 439), and 1107 days (median 1092, SD 371). Results for the three outcome measures are given in table 2. Higher perceived physical workload was an indicator of increased risk of temporarily being placed in less strenuous work for both shift (HR 1.06, 95% CI 1.00–1.12) and day workers (HR 1.13, 95% CI 1.03–1.24). For shift workers, having bronchitis (HR 1.56, 1.17–2.09) and more physical exposure (HR 1.03, 95% CI 1.01–1.57) indicated an increased risk of temporarily being placed in less strenuous work, whereas a high function level indicated a reduced risk (HR 0.56, 95% CI 0.39–0.78). For day workers, more work-related complaints indicated an increased risk (HR 1.39, 95% CI 1.12–1.73) of temporarily being placed in less strenuous work. Being a smoker indicated an increased risk for sickness absence ≥6 weeks for both shift (HR 1.23, 95% CI 1.04–1.45) and day workers (HR 1.45, 95% CI 1.10–1.92). Among shift workers, higher scores on fatigue (HR 1.15, 95% CI 1.02–1.30) and musculoskeletal pain and stiffness (HR 1.08, 95% CI 1.00–1.15), and having high blood pressure (HR 1.37, 95% CI 1.09–1.71) and cardiovascular disease (HR 1.67, 95% CI 1.28–2.19) indicated an increased risk for sickness absence ≥6 weeks, while a high function level (HR 0.56, 95% CI 0.41–0.77) indicated a reduced risk. For day workers, higher scores on mental complaints (HR 1.30, 95% CI 1.11–1.51) and having insomnia (HR 2.48, 95% CI 1.47–4.21) indicated an increased risk for sickness absence ≥6 weeks, while sleep complaints (HR 0.58, 95% CI 0.37–0.91) and job satisfaction (HR 0.85, 95% CI 0.72–1.00) indicated a reduced risk. Shift workers with higher scores on mental complaints (HR 1.22, 95% CI 1.03–1.43) and perceived physical workload (HR 1.09, 95% CI 1.00–1.19), and having sleep complaints were at increased risk of leaving the organization, while lower scores on musculoskeletal pain and stiffness (HR 0.88, 95% CI 0.77–0.99) and psychological job demands (HR 0.83, 95% CI 0.69–1.00) indicated a reduced risk. For day workers, higher scores on fatigue (HR 1.64, 1.13–2.39) indicated an increased risk for leaving the organization and job satisfaction a reduced risk (HR 0.72, 95% CI 0.55–0.95). The sensitivity analysis for age groups showed that older shift workers with good supervisor relations were at increased risk of being temporarily being placed in less strenuous work, while an opposite effect was found for younger workers (≥45 years: HR 1.21, 95% CI 0.88–1.67 versus <45 years HR 0.60, 95% CI 0.41–0.87). Furthermore, older shift workers with HBP were at decreased risk of sickness absence ≥6 weeks, compared to younger shift workers (≥45 years: HR 1.08, 95% CI 0.84–1.40 versus <45 years: HR 4.36, 95% CI 2.84–6.70). Older day workers with higher scores on mental complaints were at decreased risk of sickness absence ≥6 weeks, compared to younger day workers (≥45 years: HR 1.20, 95% CI 1.01–1.43 versus <45 years: HR 2.13, 95% CI 1.51–3.02). The sensitivity analysis limited to participants ending up in one or none of the outcome measures revealed no major differences compared to the analysis including all participants with complete data. This study examined individual and work-related characteristics for work outcomes related to sustainable employment among male shift and day workers. Slightly more shift workers were temporarily placed in less strenuous work, more day workers were absent ≥6 weeks, and an equal amount of shift and day workers left the organization. Most of the predictors were similar in magnitude and direction for shift and day workers although some differences were observed. These differences pertained to CVD, HBP, and sleep. CVD and HBP have been found to predict sickness absence ≥6 weeks only for shift workers. Shift work has been indicated as a risk factor of CVD although evidence of a causal link is still limited (21–24). At baseline, a slightly higher percentage of day workers reported CVD and HBP, which might indicate a CVD-induced selection effect. However, Kivimäki and colleagues concluded in a study, with a similar research design and a mainly female population, that selection out of work due to CVD is not a major bias in shift work research (17). In line with the findings of Kivimäki et al, this study of a male population found no evidence of an increased risk of leaving the organization due to CVD or HBP for shift compared to day workers. In congruence with other studies, smoking was more prevalent at baseline among shift compared to day workers (21, 22), which might be one of the explaining factors for an increased risk of HBP and CVD among shift workers. Insomnia has been found to predict sickness absence ≥6 weeks only among day workers. Although this finding is in line with earlier research associating poor sleep with sickness absence (25–29), other findings are contradictory. For day workers, sleep complaints protected against sickness absence ≥6 weeks. For shift workers, insomnia and sleep complaints did not predict sickness absence ≥6 weeks, while sleep problems are one of the most-reported problems by shift workers (30). Also symptoms of insomnia are more prevalent among rotating shift compared to day workers (31). Likewise, a higher percentage of shift compared to day workers reported sleep complaints and insomnia at baseline. Sleep complaints and insomnia were assessed with a single, self-formulated item, which is not as sensitive as composed constructs. Many well-validated questionnaires assessing sleep problems and insomnia exist. However, several other studies examining poor sleep and sickness absence also used a single-item measure (26, 27). Sleep complaints among day workers protecting against absence ≥6 weeks might also be a Type I error, whereas the non-significant findings among shift workers might indicate shift workers consider sleep disturbances to be part of the job or have found a way to cope with sleep disturbances, eg, napping before or after work (32). For other single items (like bronchitis, GID, HBP and CVD) sensitivity issues are less likely because they are often doctor-diagnosed. The reason for the outcome “leaving the organization#x0201D; is unknown and should therefore be interpreted with great care. For older workers, leaving the organization might be due to (early) retirement or ill health. For younger workers it might be a next step in their career, which can positively affect sustainable employment. As a result, risk factors for and the interpretation of outcome measures related to sustainable employment might differ between older and younger workers. However, the sensitivity analysis for age groups revealed few differences between older and younger workers. This finding might well be due to a healthy worker effect, which is supposed to be more pronounced in a shift work population (33). The critical age for reduced shift work tolerance has been indicated to be around 40–50 years, with sleep quality and duration decreasing with increasing age until approximately 45 years of age, but remaining stable thereafter (34, 35). Considering the average age of the shift work population in this study of 44.5 years, a selection effect might already have occurred. On the other hand, reduced shift work tolerance with increasing age does not necessarily have to lead to selection out of shift work. Shift work-related complaints must be severe enough to outweigh any loss in financial benefits. Especially, when the living standard (eg, mortgage) is based upon the salary including financial benefits. Major strengths of this study are its prospective design and the large sample size. It is important to note, that despite the prospective nature of the design, the time frame of a cohort study is critical. In a perfect study, self-selection into exposure conditions is minimized, the cohort is identified before any exposure, and the cohort can be followed through the transition and for short- and long-term effects of the exposure (36). In this study, no information was available on selection into (shift) work. Furthermore, little is known about any previous (shift) work exposure. At baseline, shift and day workers were, on average, employed by Tata Steel for 21.5 and 23.7 years, respectively. No information was available on previous work schedules or job functions. Given the relative long time participants/workers have been employed by Tata Steel, a survivor effect might already have taken place. Finally, the timeframe of this study might have been too short to detect any long-term effects, especially given the above-mentioned optimal conditions of a cohort study. Despite these considerations, in practice it is difficult to adhere to the optimal conditions of a cohort study due to ethical, logistical, and time-based constraints. Still, in the future, more research is needed on the selection into and out of (shift) work, preferably in longer follow-up studies, starting when workers enter (shift) work. This study was restricted by the variables of the health interview and the company registers. The individual and work-related characteristics were based on non-validated self-report measures, but checked by a company physician and discussed with the employee. Sustainable employment is a complex and multifactorial topic. Despite the number of individual and work-related characteristics in this study, it was not possible to account for all risk factors (eg, educational level, family, and financial situation) (7, 15, 16). Unmeasured constructs could maybe explain the few differences found between shift and day workers and between older and younger workers. It is important to note that dichotomous outcome measures do not reflect sustainable employment, which can be viewed as an on-going effort. A life-course epidemiological approach, allowing for the incorporation of differences in duration of sickness absence, recurrence, and transitions to other outcome measures, might be an interesting approach. However, due to the relatively short follow-up period, a life-course approach might not be the most appropriate technique in this study but could be used for future long lasting longitudinal studies. The comparison between included and excluded workers showed that excluded workers were more at risk to be temporarily placed in less strenuous work or to leave the organization. Due to the length of the study period (five years) and the time between two health checks (three to four years), it is reasonable to assume that workers who left the organization had a lower probability to receive a health check during the study period. No reasonable explanation was found why excluded workers were more prone to be temporarily placed in less strenuous work. The study sample was homogeneous in terms of gender, occupational group, and working conditions, eliminating these possible sources of confounding. On the other hand, this also means that these results are not necessarily generalizable to females, other occupational groups or different working conditions. In conclusion, most of the characteristics predicting work outcomes related to sustainable employment in this study were similar for shift and day workers, although some differences were observed pertaining to CVD, HBP, and sleep. Interventions aimed at enhancing sustainable employment should focus on both individual and work-related characteristics. This study provides no evidence that group-specific interventions for shift and day workers should be taken into account. Selection effects might have biased the results of this study. More research is needed on selection in and out of (shift) work preferably in longer follow-up studies. The authors declare no conflict of interest. This study was financially supported by a grant of ZonMw. The funding agency did not play any part in designing the research protocol, data analyses, data interpretation, or writing of the report. All authors contributed to the initiation of the study, study design, conduct of the study, analysis and interpretation of data, and preparation of the manuscript. Giannakouris, K. (2008, July 16). Ageing characterizes the demographic perspectives of the European societies. Report No: 72. Silverstein, M. (2008). Meeting the challenges of an aging workforce. Am J Ind Med, 51, 269-80, http://dx.doi.org/10.1002/ajim.20569. van den Berg, T, Schuring, M, Avendano, M, Mackenbach, J, & Burdorf, A. (2010). The impact of ill health on exit from paid employment in Europe among older workers. Occup Environ Med, 67, 845-52, http://dx.doi.org/10.1136/oem.2009.051730. van den Berg, TI, Elders, LA, & Burdorf, A. (2010). Influence of health and work on early retirement. J Occup Environ Med, 52, 576-83, http://dx.doi.org/10.1097/JOM.0b013e3181de8133 . Samuelsson, A, Alexanderson, K, Ropponen, A, Lichtenstein, P, & Svedberg, P. (2012). Incidence of disability pension and associations with socio-demographic factors in a Swedish twin cohort. Soc Psychiatry Psychiatr Epidemiol, 47, 1999-2009, http://dx.doi.org/10.1007/s00127-012-0498-5. Beemsterboer, W, Stewart, R, Groothoff, J, & Nijhuis, F. (2009). A literature review on sick leave determinants (1984-2004). Int J Occup Med Environ Health, 22, 169-79, http://dx.doi.org/10.2478/v10001-009-0013-8. Blekesaune, M, & Solem, PE. (2005). Working conditions and early retirement: A prospective study of retirement behavior. Res Aging, 27, 3-30, http://dx.doi.org/10.1177/0164027504271438. Canivet, C, Choi, B, Karasek, R, Moghaddassi, M, Staland-Nyman, C, & Ostergren, PO. (2013). Can high psychological job demands, low decision latitude, and high job strain predict disability pensions? A 12-year follow-up of middle-aged Swedish workers. Int Arch Occup Environ Health, 86, 307-19, http://dx.doi.org/10.1007/s00420-012-0766-4. Jensen, JM, Patel, PC, & Messersmith, JG. (2013). High-performance work systems and job control: Consequences for anxiety, role overload, and turnover intentions. J Manage, 39, 1699-724, http://dx.doi.org/10.1177/0149206311419663. Hellman, CM. (1997). Job satisfaction and intent to leave. J Soc Psychol, 137, 677-89, http://dx.doi.org/10.1080/00224549709595491. Knutsson, A. (2003). Health disorders of shift workers. Occup Med, 53, 103-8, http://dx.doi.org/10.1093/occmed/kqg048. Folkard, S, & Tucker, P. (2003). Shift work, safety and productivity. Occup Med, 53, 95-101, http://dx.doi.org/10.1093/occmed/kqg047. Costa, G. (2003). Factors influencing health of workers and tolerance to shift work. Theor Issue Ergon Sci, 4, 263-88, http://dx.doi.org/10.1080/14639220210158880. Merkus, SL, van Drongelen, A, Holte, KA, Labriola, M, Lund, T, van Mechelen, W, et al. (2012). The association between shift work and sick leave: A systematic review. Occup Environ Med, 69, 701-12, http://dx.doi.org/10.1136/oemed-2011-100488. Friis, K, Ekholm, O, Hundrup, YA, Obel, EB, & Gronbaek, M. (2007). Influence of health, lifestyle, working conditions, and sociodemography on early retirement among nurses: The Danish nurse cohort study. Scand J Public Health, 35, 23-30, http://dx.doi.org/10.1080/14034940600777278. Szubert, Z, & Sobala, W. (2005). Current determinants of early retirement among blue collar workers in Poland. Int J Occup Med Environ Health, 18, 177-84. Kivimaki, M, Virtanen, M, Elovainio, M, Vaananen, A, Keltikangas-Jarvinen, L, & Vahtera, J. (2006). Prevalent cardiovascular disease, risk factors and selection out of shift work. Scand J Work Environ Health, 32, 204-8, http://dx.doi.org/10.5271/sjweh.1000. Klein, Hesselink J, de Leede, J, & Goudswaard, A. (2010). Effects of the new fast forward rotating five-shift roster at a Dutch steel company. Ergonomics, 53, 727-38, http://dx.doi.org/10.1080/00140139.2010.489651. van Veldhoven, M, Meijman, TF, Broersen, JPJ, & Fortuin, RJ. (2002). Amsterdam: SKB vragenlijstservices. Handleiding vragenlijst beleving en beoordeling van de arbeid (VBBA) [Manual questionnaire perception and evaluation of the work situation]. European Working Conditions Observatory. Sickness absenteeism at an all-time low [Internet]. (2011). Dublin, Eurofund, Available from: http://www.eurofound.europa.eu/ewco/2011/07/NL1107029I.htm. Boggild, H, & Knutsson, A. (1999). Shift work, risk factors and cardiovascular disease. Scand J Work Environ Health, 25, 85-99, http://dx.doi.org/10.5271/sjweh.410. Frost, P, Kolstad, HA, & Bonde, JP. (2009). Shift work and the risk of ischemic heart disease - a systematic review of the epidemiologic evidence. Scand J Work Environ Health, 35, 163-79, http://dx.doi.org/10.5271/sjweh.1319. Puttonen, S, Harma, M, & Hublin, C. (2010). Shift work and cardiovascular disease - pathways from circadian stress to morbidity. Scand J Work Environ Health, 36, 96-108, http://dx.doi.org/10.5271/sjweh.2894. Wang, XS, Armstrong, ME, Cairns, BJ, Key, TJ, & Travis, RC. (2011). Shift work and chronic disease: The epidemiological evidence. Occup Med, 61, 78-89, http://dx.doi.org/10.1093/occmed/kqr001. Bultmann, U, Nielsen, MB, Madsen, IE, Burr, H, & Rugulies, R. (2013). Sleep disturbances and fatigue: Independent predictors of sickness absence? A prospective study among 6538 employees. Eur J Public Health, 23, 123-8, http://dx.doi.org/10.1093/eurpub/ckr207. Westerlund, H, Alexanderson, K, Akerstedt, T, Magnusson, Hanson L, Theorell, T, & Kivimaki, M. (2008). Work-related sleep disturbances and sickness absence in the Swedish working population, 1993-1999. Sleep, 31, 1169-77. Akerstedt, T, Kecklund, G, Alfredsson, L, & Selen, J. (2007). Predicting long-term sickness absence from sleep and fatigue. J Sleep Res, 16, 341-5, http://dx.doi.org/10.1111/j.1365-2869.2007.00609.x. Sivertsen, B, Overland, S, Bjorvatn, B, Maeland, JG, & Mykletun, A. (2009). Does insomnia predict sick leave? The Hordaland health study. J Psychosom Res, 66, 67-74, http://dx.doi.org/10.1016/j.jpsychores.2008.06.011. Sivertsen, B, Bjornsdottir, E, Overland, S, Bjorvatn, B, & Salo, P. (2013). The joint contribution of insomnia and obstructive sleep apnoea on sickness absence. J Sleep Res, 22, 223-30, http://dx.doi.org/10.1111/j.1365-2869.2012.01055.x. Akerstedt, T, & Wright, KP. (2009). Sleep loss and fatigue in shift work and shift work disorder. Sleep Med Clin, 4, 257-71, http://dx.doi.org/10.1016/j.jsmc.2009.03.001. Flo, E, Pallesen, S, Akerstedt, T, Mageroy, N, Moen, BE, Gronli, J, et al. (2013). Shift-related sleep problems vary according to work schedule. Occup Environ Med, 70, 238-45, http://dx.doi.org/10.1136/oemed-2012-101091. Akerstedt, T. (2003). Shift work and disturbed sleep/wakefulness. Occup Med, 53, 89-94, http://dx.doi.org/10.1093/occmed/kqg046. Knutsson, A. (2004). Methodological aspects of shift-work research. Chronobiol Int, 21, 1037-47, http://dx.doi.org/10.1081/CBI-200038525. Blok, MM, & de Looze, MP. (2011). What is the evidence for less shift work tolerance in older workers? Ergonomics, 54, 221-32, http://dx.doi.org/10.1080/00140139.2010.548876. Saksvik, IB, Bjorvatn, B, Hetland, H, Sandal, GM, & Pallesen, S. (2011). Individual differences in tolerance to shift work - A systematic review. Sleep Med Rev, 15, 221-35, http://dx.doi.org/10.1016/j.smrv.2010.07.002. Kasl, SV, Jones, BA, Quick, JC, Tetrick, LE, Quick, JC, & Tetrick, LE (Eds.). (2011). Handbook of occupational health psychology (2nd ed). Washington, DC: American Psychological Association. An epidemiological perspective on research design, measurement, and surveillance strategies, pp. 375-94.